Have you seen The Twelve Labors of Putin -- his birthday gift to himself? Shamelessly pinched from the story. 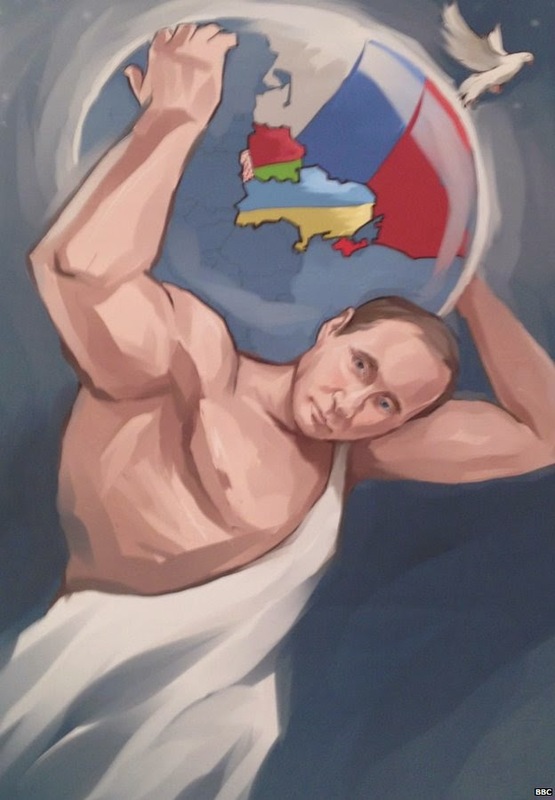 As seen here, backing peace in Ukraine, Mr Putin is painted as a strong leader by the group. "We the people have trusted the leaders of Russia: the tsars, the emperors, or general secretaries of the Communist party," Mr Antonov told the BBC. "Vladimir Putin continues that tradition. He is a hero of the people."